The Adriatic Riviera is the ideal destination for families with young children looking for a resort where to spend a trouble-free holiday at the seaside in a hotel for families in Cattolica. The town of Cattolica is actually very close to some of the best fun parks of the Romagna region and near the most famous nightlife venues of the Adriatic Riviera (such as Rimini and Riccione) that offer many exciting events. The town also offers some interesting cycling trails and is an excellent spot to discover the traditional local cuisine. There are historical and cultural places of interest. However the best attraction is still to spend lovely days by the sea and join in the many activities that are organised on the beach. Choosing a hotel that suits your idea of a seaside holiday is not so easy when it comes to families with different requirements. One needs a lot of flexibility. 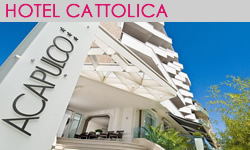 Among the hotel deals in Cattolica, the Acapulco hotel offers all inclusive packages, with half-board or bed & breakfast solutions to meet the needs of all guests. Many hotels on the Adriatic Riviera are suitable for family holidays, but Acapulco Hotel ranks top as a hotel for children in Cattolica because it has a swimming-pool, a fully-equipped beach establishment with all-day entertainment, flexible meal times, high chairs in the restaurant and free use of bicycles with child seats. 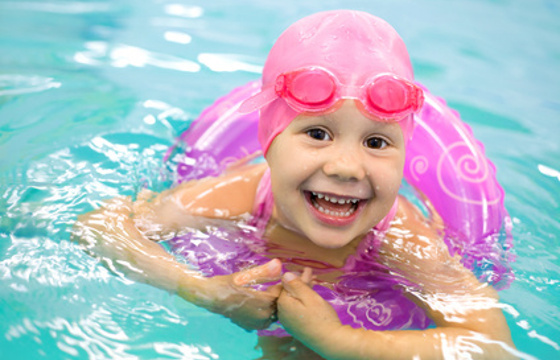 The Acapulco Hotel of Cattolica has designed some extremely convenient packages for families with young children as well as couples, and these include solutions such as: half-board, All Inclusive or B&B, so you can plan your holiday to suit your needs. La riviera è assolutamente perfetta per andare in vacanza con la famiglie e i proprio figli. Cattolica è bellissima e molto tranquilla a differenza di riccione o rimini per esempio. Consiglio? andateci assolutamente.